Roger Federer and Rafael Nadal, who have faced each other in eight major finals, plan to team up as doubles partners next year during the inaugural Laver Cup. Named for Australian great Rod Laver, the competition pitting a squad of European men's players against a group from the rest of the world was first announced in January. On Wednesday, organizers said the first edition would be held in Prague on September 22-24, 2017, indoors at the O2 Arena. For his part, Federer is excited to finally be on the same side as his rival's impressive talents. “It’s going to be absolutely unbelievable to be on the same side of the net with Rafa, finally. 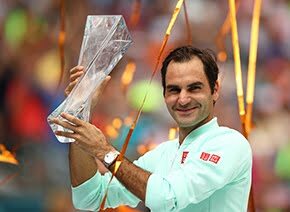 Rather than always facing that big forehand, now I can actually support it and say ‘hit one more’ and take a lot of joy out of it,” Federer said. Former rivals Bjorn Borg of Sweden (Europe) and John McEnroe of the U.S. (World team) will serve as captains for the first three years. Laver, Borg, McEnroe, Federer and Nadal - accounting for 60 major singles titles - gathered at a Manhattan hotel Wednesday for the announcements. The plan is for the Laver Cup to be held annually, except during Olympic years, two weeks after the U.S. Open, with the location rotating. There will be six men on each team: four based on the rankings after Wimbledon, and two captain's picks announced after the U.S. Open. There will be 12 matches played over three days (nine singles and three doubles), with the number of points awarded for victories increasing each day. Each player will take the court once or twice for singles, with at least four of the six taking part in doubles. All the matches will be best-of-three, but if the first two sets are split, they will go to a 10-point tiebreaker. 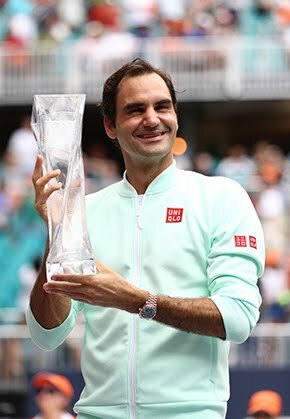 Borg hopes that the other half of the ''Big Four'' - the current top two men in the rankings, Serbia's Novak Djokovic and Britain's Andy Murray - will join Switzerland's Federer and Spain's Nadal on the Europe team. McEnroe acknowledged that for now at least, his World squad would be the heavy underdog, though a lot can happen in just over a year. Beyond the Big Four, Europe boasts 13 of the current top 15 players in the men's rankings. And active European players have combined for 49 Grand Slam titles; for the rest of the world, it's just one, by Argentina's Juan Martin del Potro. 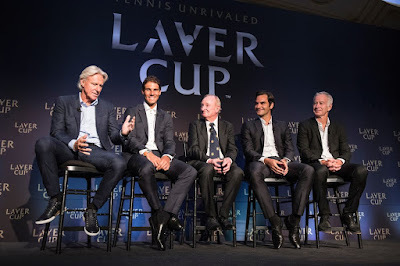 Federer's management company, TEAM8; Brazilian businessman Jorge Paulo Lemann, a former Davis Cup player; and Tennis Australia partnered to create the Laver Cup.